Isn’t it lovely how other bloggers can give you ideas. After seeing Karah’s huge stash of sea glass this week (look at the glass vessel next to the TV) I was inspired to create something with the box of beach glass treasure I have collected over the years, in a quest to create some art work for my newly painted office. 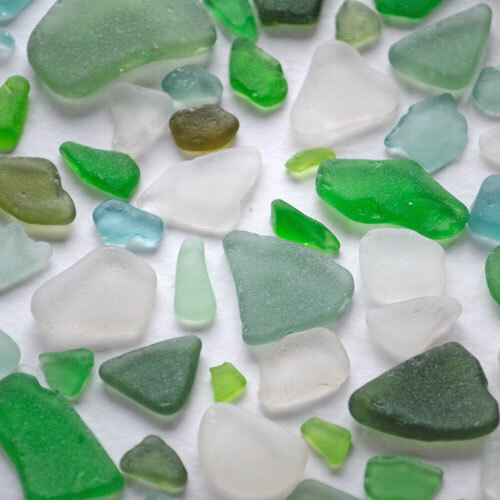 I started by sorting out my sea glass collection into two colored piles. 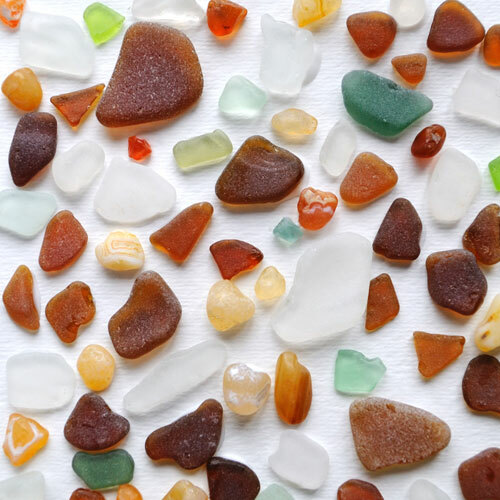 The first pile of sea glass had blue green hues and the second brown hues. Then I took some thick water color paper, drew a 12″ x 12″ square and randomly started sticking down my pieces with modge podge . I added translucent pieces to each creation and the brown hued piece also got a tiny sprinkling of green beach glass to make it pop a bit more. Two shadow boxes from Ikea later and I have at last done something with my sea or beach glass. Just waiting to get all the other art work done before I hang it on the wall. And what is sea glass without an arty shot. I might be over 1000 miles from the sea but I have a little reminder soon to be hung on my walls. 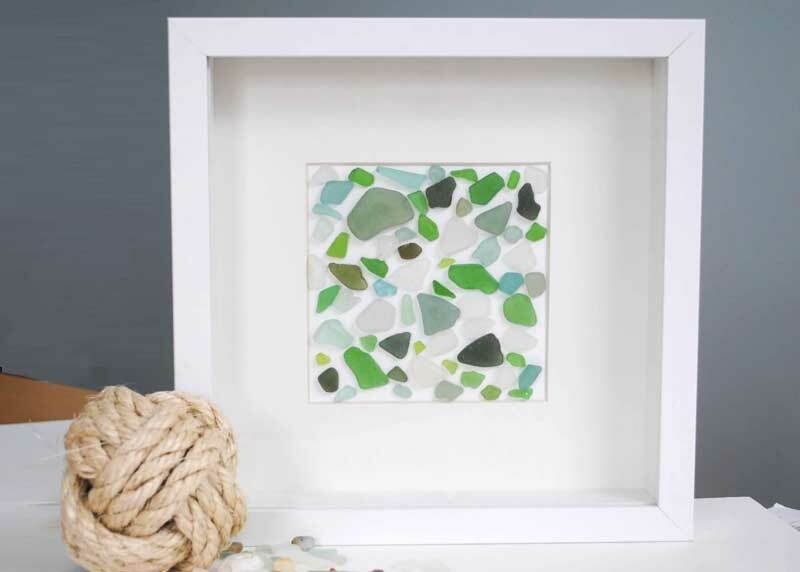 This entry was posted in Art, Coastal Crafts, Coastal Decor, Craft Projects, Decorative Accents, Home Decor, Trash to Treasure, Wall Art and tagged beachglass, green, seaglass, wallart. Bookmark the permalink. I LOVE THEM!!! So great…I love the idea…and how you distinguished between the colors and created two totally awesome pieces. Thanks for the shout out! Looks like we both the beach on the mind this week. These look amazing! Just think of what you could make with those huge pieces you have next to your TV! Yes it has been a gray week roll on sunshine summer and trips to the beach! It has taken me about 6 years to get around to doing something with mine. Thanks for pinning! What a great idea! I love collecting beach glass. Did you "paint" the entire paper with modge podge before sticking on the glass, or just adhere each piece individually? I'm going to try this. Thanks for the inspiration! I just stuck each piece on individually. What size is the green and white project. It seems small. I have boxes and jars of beach glass. I want to use a lot of it and make a large one. Hi Irma, yes the shadow boxes are quite small, I’d say 10 by 10″. A big piece would look fantastic. I love this! So fun! I have a lot of that collected from when I went to the beaches in Japan! I should do something fun like this! So cute! I am a new follower of yours and would love for you to stop by and check out our blog…and link this and anything else up to our Naturally-Nifty Linky party! Super gorgeous! 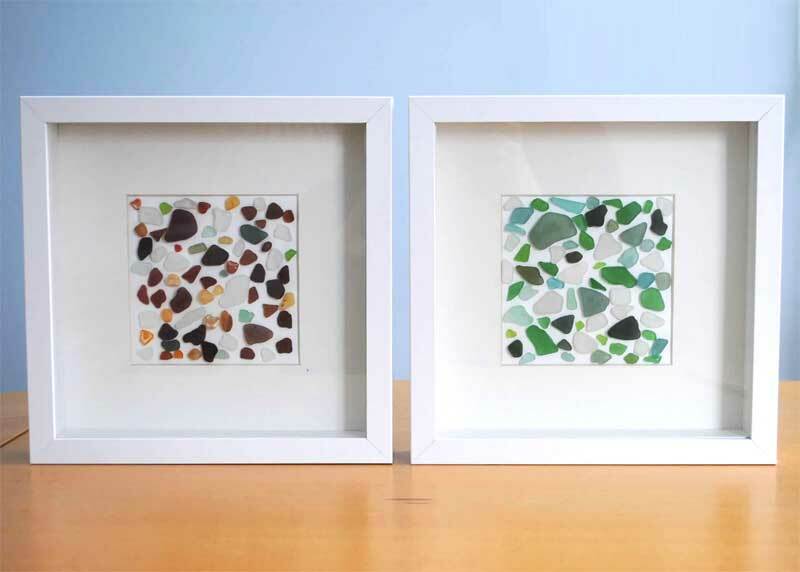 Just a few days back I published a post with framed seaglass very similar to yours! You can check it out here if you want to. these are really lovely. great idea. Hey!! 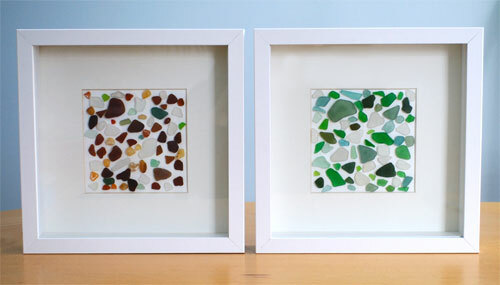 I love your blog & love this sea glass project! Thanks for linking up last week, I wanted to let you know that we featured you on our party this week! Stop by and check it out and pick up a button to feature on your blog! totally gorgeous! 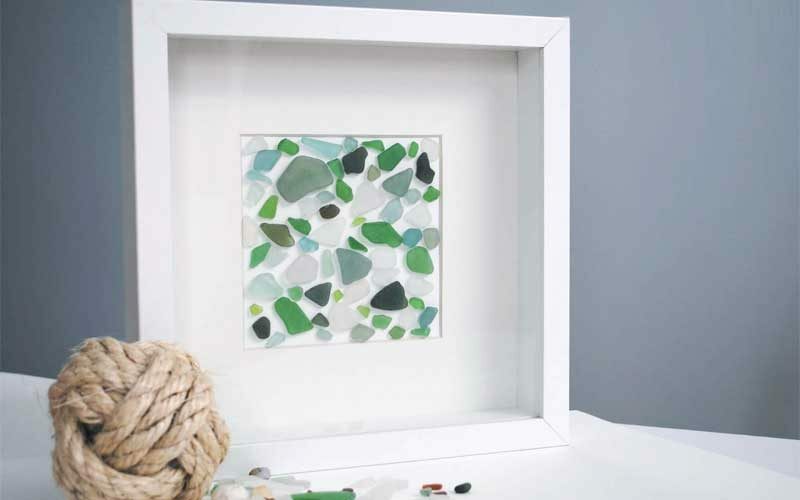 LOVE the sea glass in the shadow box! My house needs some of these for sure! Lake Michigan is an inland sea. Beautifully done…..thank you for the idea. Hi do you think spraying adhesive to the paper first and sprinkling sand over it then adding the glass would work. 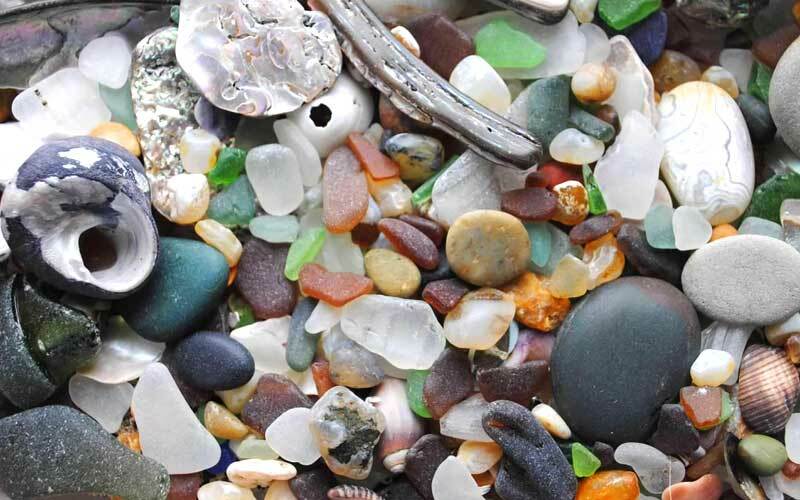 That is would the glass adhere to the sand? Also, do you spray the sea glass afterwards with some sort of acrylic to give it a shiny look? Love your projects! Simple yet beautiful! Thanks for posting.